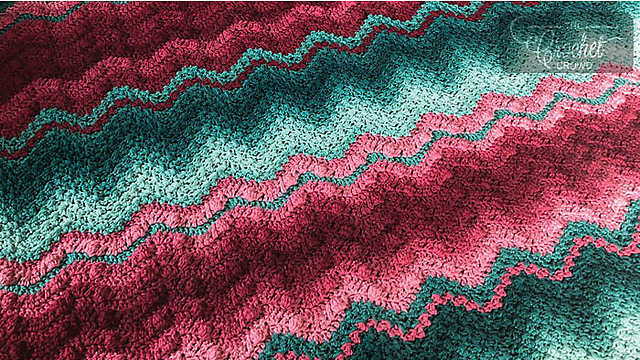 A very interesting project of a blanket with great colours. Is very decorative and impressive. It is a free pattern for everyone. Find some free time and start working on the most beautiful patterns for your home. The blanket is made in the throw style. You can make it in any size you need. The pattern is very pleasant to crochet. 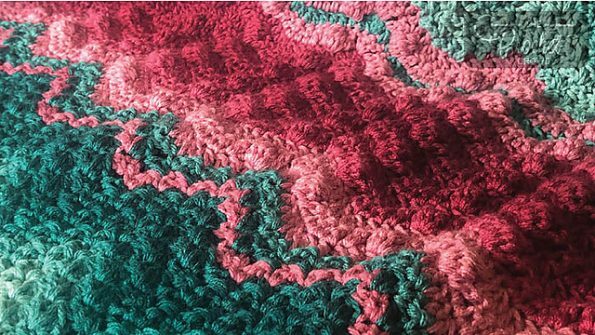 A suggested yarn that is ideal for this type of pattern is Red Heart Super Saver Ombré. It will give you such a great ombre shade.